Over two and a half inches of rain fell in unincorporated Sacramento County Wednesday, leaving the American River College campus and the surrounding area with several large puddles and flooding, causing severe bus delays, trouble getting to classes and some students struggling with their everyday routines. “It took me two hours to get here. The staff parking lot was flooded,” said ARC student Talia Poydras. “(When I was) driving home, (looking at) people’s cars, a good quarter of the tire was just underwater,” she said. Multiple students mentioned they saw large puddles near the portable village when asked of their experiences with Wednesday’s rain. “I was in math class, and it was roaring outside the (portable village). It was crazy loud,” said ARC student and undecided major Keith Palmer. The Arcade Creek nearly flooded over the Winding Way bridge, just down the street from campus. 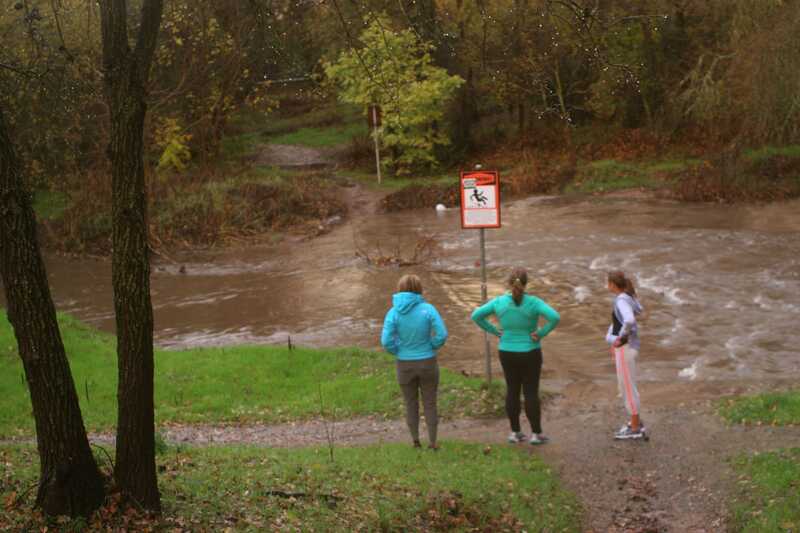 The pipe bridge that connects separate parts of the trail together was completely underwater by 5 p.m.
Students found that the rain affected both travel and work. Some students claimed buses took almost two hours to reach campus. “The bus was packed,” said Jacob Bubela. “It took me like an hour to get home. The traffic was bad,” said Cecilia Castillo. Jessica Ishikawa, an animation major at ARC, said the rain was pounding down in some areas. Standing water filled the campus in several areas, and there were moments during heavy storms that some students spent watching the rain fall and standing under the overhangs so as to avoid getting drenched. “People were scared of it, I enjoyed it. It was like they’d never seen rain before,” Bubela said. 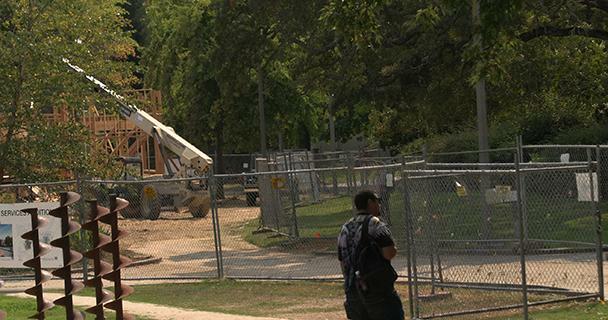 Student Services Construction: What is the Impact on You? Be the first to comment on "Students face challenges from heavy rainfall"